will of great benefit to me. world is a global village. the practicals that I do as frequently as Possible. -The Company will be able to save on costs if it adopts IP telephony which is the way to go. -The operations will be paperless thus promote neatness and save cost on this front. nature of these problems requires an interdisciplinary approach. Model, System Integration, Workflow, and Technical Architecture. Profile can be leveraged to develop future architecture changes. changes to the system predicted or foreseen. 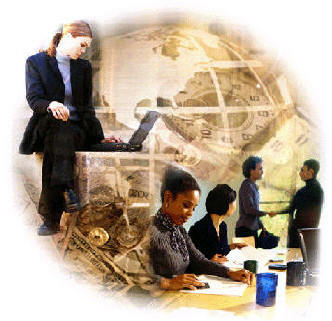 -MIS enable the organization to make informed decisions. increased instruction time to attain equivalent educational gains. accessing educational research, and accessing classroom materials such as lesson plans. -It also gives you a deeper understanding of IT as a subject and a professional course. The Internet is highly cost-effective business tool, and very flexible in its application i.e. few buttons and the data can be on your colleague's machine in a matter of minutes! only printing out where necessary. of sending to 50 addresses is little more than of sending to 5! system and gain trade in bulk. desktop publishing equipment or anyone who knows how to use it, for example. touch of a few buttons at the customer's premises whilst the sales lead is still hot. schedule updates, output figures, the lot! from Spain who wants more information, but all your sales information is in English. sale that you would have lost without the Internet. to distribute upgrades and new releases, or undertake market research. language will be quite fascinating to experience this. Directory Migration Tool (ADMT), which copies passwords and is fully scriptable. policies can be used to prevent damage caused by viruses and other malicious code. cards and certificates across the enterprise. Directory, XML Web services, Terminal Services, and networking. path input/output (I/O), all of which help "scale up" servers. operating system. Microsoft ASP.NET enables high-performance Web applications. services through ASP.NET mobile Web Forms controls and other tools. monitored to detect and retire inactive sites. Security is granular, yet easily managed. information--no matter where it goes. Services (SUS) helps administrators automate the latest system updates. files instantly, without requiring costly assistance from a support professional. (FRS) provide users with a consistent way to access their files wherever they are. Services also helps companies build and deploy smarter, more reliable applications. better service and for a longer time without breakdown or hard disk crushes. logical (software), physical (hardware), human (technical support specialists), and financial (budgets). and processes that can be used to manage, distribute, protect, and insure the integrity of this key asset. students for research and professional practice in the above areas. with skills and knowledge that serve as a basis for change in a world where change is the norm. BACHELOR OF SCIENCE IN INFORMATION TECHNOLOGY DEGREE TODAY. Please click the course number below to view the syllabus. online. You may also fill out the enrollment application online.